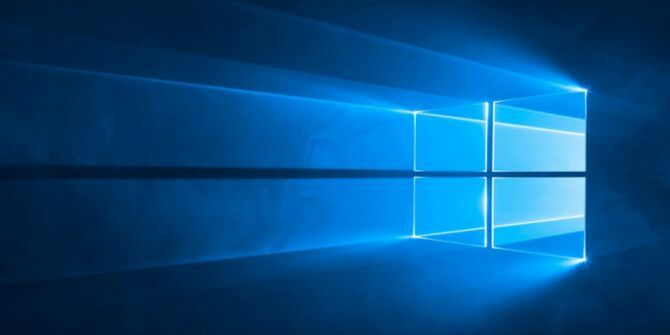 One of the more common tweaks made to the Windows 10 taskbar 6 Advanced Taskbar Tweaks for Windows 10 6 Advanced Taskbar Tweaks for Windows 10 Windows 10 has brought many changes and the taskbar wasn't spared. Still, many small tweaks can enhance your experience. We'll show you how you can customize it to perfection. Read More involve changing it from always visible to auto-hidden, that way you can free up more screen space and only use the taskbar when you need it (it’ll show up when you hover your mouse over it). But if you’re on Windows 10, there’s a rare and frustrating issue that may pop up when you use an auto-hidden taskbar: sometimes the auto-hide functionality will stop working for no reason, usually when some app enters fullscreen mode. If this is happening to you, there are a few solutions you can try. Method 1: In Windows 10, the taskbar stops auto-hiding when an app needs your attention. Maybe you have unread messages in Skype, or maybe one of your downloads in Firefox finished, or perhaps your Postbox app ran into an error. Cycle through and make sure you have no new alerts! Method 2: Open the Task Manager (there are many ways to do this) and navigate to the Processes tab, then find the process called Windows Explorer. Click on it, then click on the button labeled Restart. If the taskbar was temporarily glitched, this should fix it. Method 3: If the taskbar is still being wonky, try unpinning all of your taskbar items before repinning them. It won’t always work, but you’d be surprised how often it does. I’m not really sure why it works, but it’s easy and harmless enough that you might as well try it. We’ve covered solutions for other Windows 10 taskbar issues 6 Steps to Fix Your Windows 10 Taskbar Issues 6 Steps to Fix Your Windows 10 Taskbar Issues Is your Windows 10 Taskbar not working? Here are fixes for the most common Taskbar issues, like freezing or auto-hide not working. Read More , so if you run into any other problems, check out that post first. Did this fix your taskbar auto-hiding behavior? If you managed to fix it using another method, please let us know in the comments! What if the problem is exact the opposite? It stops auto-showing on mouse hover! ?